Resveratrol is frequently referred to as “The active ingredient in Red Wine” but that is a serious over-simplification and the evidence is clear – there is not enough resveratrol in a glass of wine to make a difference. The polyphenol Resveratrol has been a hot topic among the anti-aging writers and commentators since Dr. David Sinclair was interviewed by the TV magazine show “60 Minutes” in Jan 2009 and the Barbara Walters Show in June of 2009. Dr. Sinclair emphasized that although anti-aging was a “hot button”, he was more interested on the influence on diseases or prevention of diseases associated with aging. The explanations below are detailed and require some concentration to completely understand so I urge you to read it carefully. Resveratrol is a phenolic or polyphenol compound that has been found to have a strong antioxidant activity. Plants create resveratrol to protect themselves against the stress caused by things such as poor growing conditions and severe weather. Resveratrol has been shown to destroy cancer cells, reduce the oxidation of LDL cholesterol, total cholesterol and the risk of cardiovascular disease. Recent studies on animals have shown resveratrol to dramatically increase life span, increase athletic endurance and mimic the benefits of a calorie-restricted diet. In nature, resveratrol exists in two different isomers, trans-resveratrol and cis-resveratrol; these prefixes refer to the shape of the molecule. Researchers have identified trans-resveratrol as the biologically active of the two isomers, which is why responsible companies only label for this active "trans-resveratrol" molecule. Some of competitors label "total resveratrols," which is not enough information for a consumer. The Shaklee Corporation has developed a tonic they labeled as Vivix. 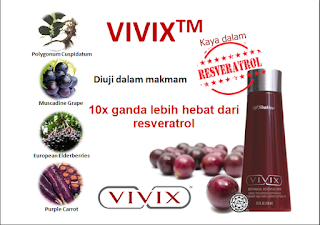 This is not a juice beverage but rather an exclusive, concentrated liquid anti-aging dietary supplement that delivers the purest form of resveratrol and a highly potent polyphenol extract created from the only grape in nature with an extra chromosome. This unique blend of polyphenols includes ingredients that have been shown in laboratory studies to fight key mechanisms of cellular aging. 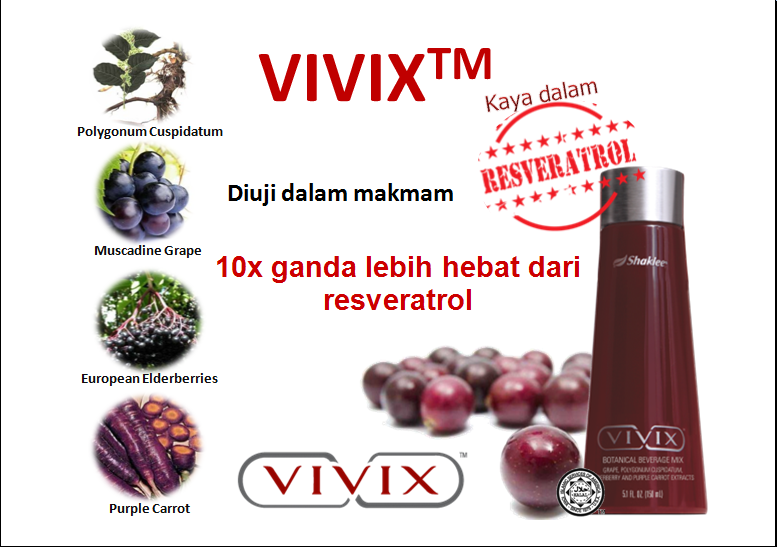 One teaspoon of Vivix delivers the equivalent amount of resveratrol found in 100 glasses of red wine. This is a very specialized product - takes 28 days to produce a batch and it only has an 8 month shelf life. You cannot drink enough red wine to make a difference. Not all Resveratrol products are equal. Only Trans-resveratrol is active. If a company reports “total resveratrol – the number is meaningless.There are different degrees of purity—some companies have reported products as low as 20% pure. Shaklee’s Vivix product is 98% pure – extracted from the the Japanese Knot Weed (polygonum cuspidatum). If a company doesn’t report its purity you can be sure it is not 98%.Many companies extract from grapes or red wine. You cannot get 98% pure from these sources.Dr. David Sinclair (Harvard University) published data demonstrating that a collection of polyphenols make the resveratrol much more powerful. So 100 mg of Shaklee resveratrol is 10 times stronger than resveratrol alone. They have added 1200mg of polyphenols from the muscadine grape, European Elderberry and Purple Carrot. (Nature. 2007 Nov 29;450(7170):712-6.Uses a patent pending extraction process that delivers more than15 polyphenols.Shaklee has also removed the Emodin (a potentially inflammatory ingredient found with most resveratrol products).How does it work? The mechanisms at play and are responsible for numerous benefits to the disease conditions associated with aging. Protects and repairs DNA damage experienced by every cell every day.Reduces the biological (oxidative) stress response.Increases energy production at the cellular level by increasing the number of mitochondria (energy productions centres of every cell) in cells.Activates the genetic regulators and slows the formation of advanced glycation end-products (AGE) proteins. Excess AGE proteins cause cellular damage and often associated with insulin resistance and diabetes. Updated information item -- Dr. Sinclair and his partner Dr. Westfall developed a small research Company known as "Sirtris". In 2009 The pharmaceutical giant Glaxao Smith Clyne bought Sirtris for $750 Million and they still do not have a viable pill form for the product. 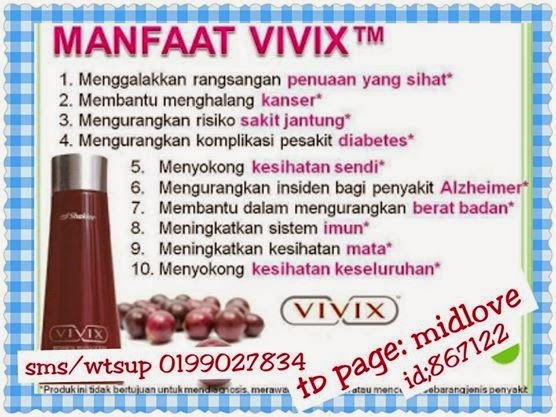 Remember, the Vivix product is a liquid tonic with only an 8 month shelf-life. Here are four published studies showing positive potential health benefits for resveratrol / polyphenols. This is one of the articles I came across. I didn't know what apoptosis meant so I looked it up and find it so fitting to what we have been told about Resveratrol. Apoptosis - necessary death of cells - a form of cell death necessary to make way for new cells and to remove cells whose DNA has been damaged to the point at which cancerous change is liable to occur. Polyphenols represent a large class of plant-derived molecules with a general chemical structure that act as potent free radical scavengers. 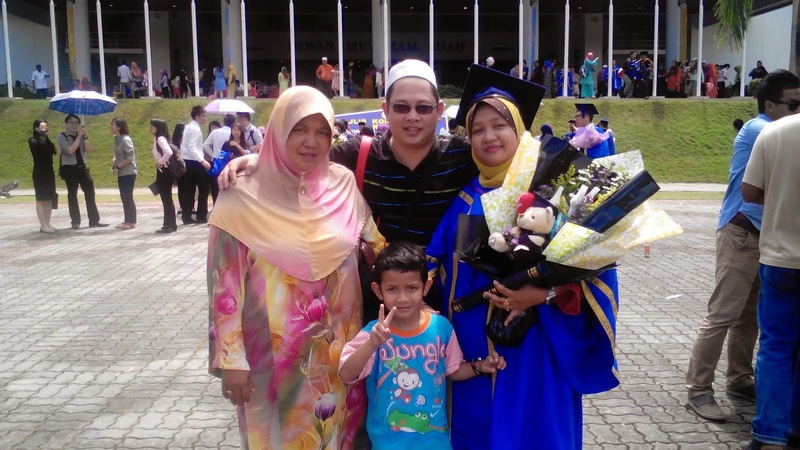 They have long been recognized to possess several therapeutic activities ranging from anti-thrombotic to antioxidant. Moreover, the capability of polyphenols to act as reducing or oxidizing molecules depends on the presence of environmental metals and on the concentrations used. In this work we demonstrated that the stilbene trans-resveratrol was able to commit human breast cancer MCF-7 cells to apoptosis. Mainly, we evidenced a pivotal role of the mitochondria in this phenomenon as cytochrome c release into the cytosol was found after the treatment. We further showed that trans-resveratrol was able to affect cellular redox state. In particular, it induced an early production of ROS and lipid oxidation, and only later compromised the GSH/GSSG ratio. This mode of action was mirrored by a temporally different activation of JNK and p38(MAPK), with the former rapidly induced and the latter weakly activated at long intervals. The results obtained demonstrate a pro-apoptotic activity for trans-resveratrol, and suggest a preferential activation of different classes of MAP kinases in response to different oxidative stimuli (ROS versus GSH/GSSG alteration). From the studies described in this review, it is clear that resveratrol holds great potential in the prevention and therapy of a wide variety of tumors. Resveratrol has antiproliferative effects through induction of apoptosis in cell lines of various origin such as leukemias and breast, prostate, colon, pancreas, and head and neck carcinomas. It induces Fas-dependent apoptosis in some cell lines and Fas independent apoptosis in others. Most, but not all, studies indicate that resveratrol does not induce apoptosis in normal cells. Some in vitro studies showing that resveratrol has antiproliferative effects at certain dose ranges but not at other doses could explain the small number of in vivo animal studies in which resveratrol was ineffective in inhibiting certain cancer conditions. Some studies have reported that resveratrol has biphasic behavior with respect to its antiproliferative effects. Thus systematic studies are required to test a range of resveratrol concentrations in vitro and then apply those doses in vivo in a wide variety of tumors. In vivo studies clearly demonstrate that resveratrol is pharmacologically safe and can be used for prevention and therapy of cancer. Resveratrol’s ability to radiosensitize and chemosensitize opens up additional opportunities. That the structure of resveratrol is simple and the presence of hydroxyl groups is strongly linked with its biological activity provides additional opportunities for structure-activity relationship studies to improve its biopotency and bioavailability. 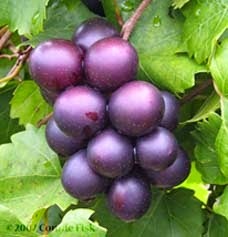 Lastly, resveratrol has potential for treating diseases other than cancer and cardiovascular ailments. Howitz et al. found evidence in yeast that resveratrol mimics calorie restriction and thus extends the lifespan by 70% (360). High-fat, high-carbohydrate (HFHC) meals are known to induce oxidative and inflammatory stress, an increase in plasma endotoxin concentrations, and an increase in the expression of suppressor of cytokine signaling-3 (SOCS-3). The intake of the supplement (VIVIX) suppressed the meal-induced elevations of plasma endotoxin and LBP concentrations, the expression of p47phox, TLR-4, CD14, SOCS-3, IL-1β, and Keap-1, while enhancing Nrf-2 binding activity and the expression of NQO-1 and GST-P1 genes. A supplement (VIVIX) containing resveratrol and muscadine polyphenols suppresses the increase in oxidative stress, lipopolysaccharide and LBP concentrations, and expression of TLR-4, CD14, IL-1β and SOCS-3 in mononuclear cells after an HFHC meal. It also stimulates specific Nrf-2 activity and induces the expression of the related antioxidant genes, NQO-1 and GST-P1. These results demonstrate the acute antioxidant and antiinflammatory effects of resveratrol and polyphenolic compounds in humans in the postprandial state. 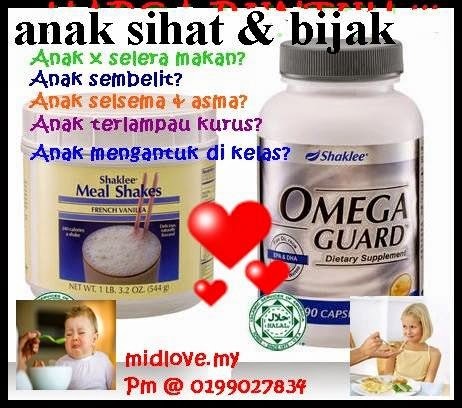 Resveratrol and Diabetes4. Resveratrol improves insulin sensitivity, reduces oxidative stress and activates the Akt pathway in type 2 diabetic patients. (Br J Nutr. 2011 Aug;106(3):383-9. Epub 2011 Mar 9. The aims were to determine whether the polyphenol resveratrol improves insulin sensitivity in type 2 diabetic patients and to gain some insight into the mechanism of its action. Resveratrol significantly decreased insulin resistance (homeostasis model of assessment for insulin resistance) and urinary ortho-tyrosine excretion, while it increased the pAkt:Akt ratio in platelets. 3,000 glasses of red wine: a 30-day supply of Vivix delivers the equivalent amount of resveratrol found in 3,000 glasses of red wine2,500 research publications: just one of the ingredients in Vivix alone (resveratrol) has been referenced in more than 2,500 research publications including multiple studies conducted by Harvard University, the National Institute of Aging, the National Cancer Institute, and the National Institute of Environmental Sciences10 times more powerful: the Vivix ingredients are more powerful than resveratrol alone in slowing cell-damaging advanced glycation end-product (AGE) protein formation.